Stir Fry Egg Noodles with Veggies and Chicken. 8489 SW Warm Springs St. This was such a great find. I found it from a review on Yelp and I love it, because it’s a quick place to grab great affordable food right in my neighborhood. 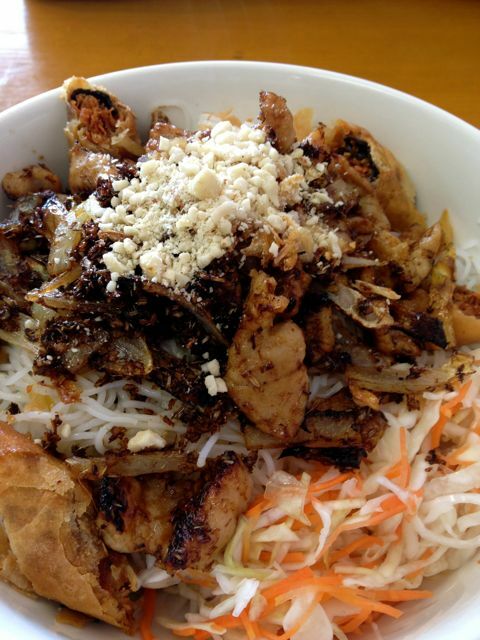 They call themselves Fresh and Healthy Vietnamese, can’t go wrong with that. Of course we started with the Salad Rolls. They contained Pork and Shrimp and it was served with a black teriyaki sauce with crushed peanuts. 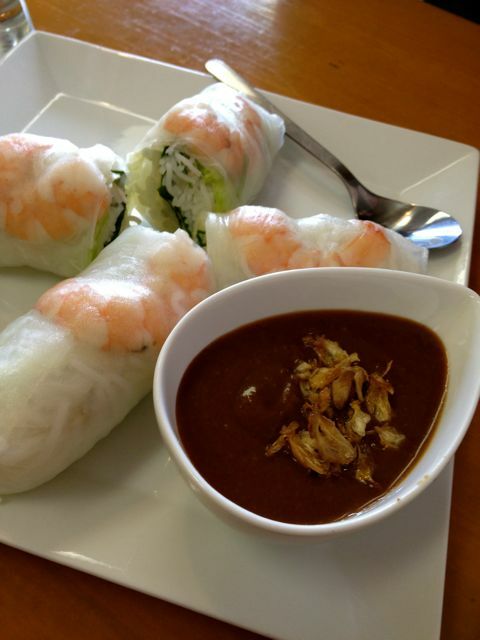 The salad rolls were great , the sauce was super yummy and just enough different that it stood out from your normal peanut sauce. We asked a few questions and they helped us figure out what to get. I ordered the Egg Rolls and Grilled Pork over rice noodles. It was similar to a dish we get at Bambuza. I really liked the flavors and the herbs added on top were a great touch. Very filling and tons of flavor. The Stir Fry Eggs Noodles were also very good. I would say almost more flavor than my dish. It will be hard not to get an order of that every time we show up. Atmosphere was your typical hole in the wall restaurant in a strip mall. Nothing fancy at all. Pricing was great. $6-$9 entrees. Service was good. They were very helpful and appreciative that we were there. I didn’t get a good look at drinks. We were there for lunch and just had water. Definitely no bar. 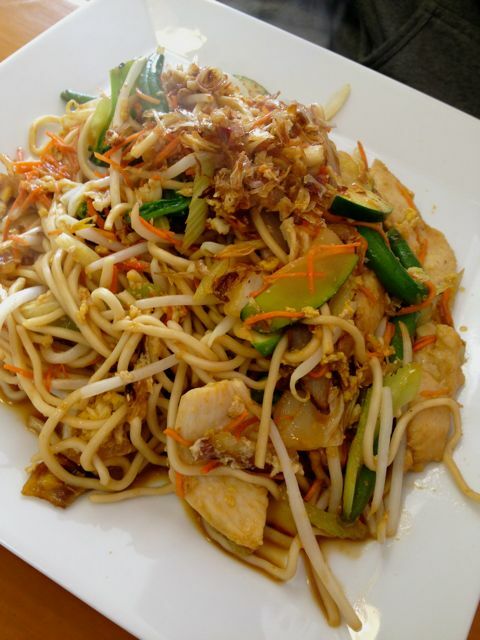 Mai Asia is located in Tualatin.